Steven is bored with his class trip to the museum so when he hears someone screaming for help he is eager to find the source. Steven ends up in a secret room where a strange ritual is taking place with Maxwell trying to absorb the powers of all the animals from the Chinese Zodiac. Interrupting the ritual, Steven absorbs the powers of the Tiger and is quickly recruited by Jasmine who is part of an organization fighting against Maxwell's group. 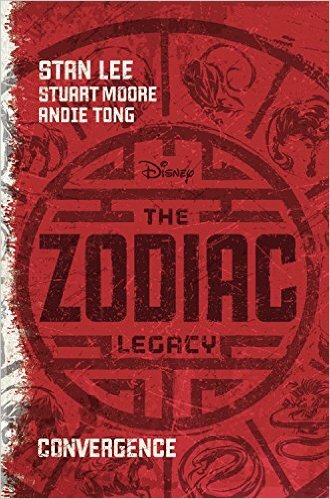 Other zodiac powers have been claimed by teens around the world so Steven and Jasmine have to find those people and get their help before Maxwell finds them. Being nerdish myself, I was eager to read this book by Lee but ended up wondering when it would ever end. The answer was: not soon enough because it is SO LONG!